An important component of student growth and development at Rocky Mount Academy is community service. Once again, striving to carry out the school's mission, we believe that our students must understand the value of contributing their time and talents to a worthy cause. Students of all ages get involved in community service. Even our youngest students seem to grasp this concept. They have held bake sales to raise money for the American Red Cross during the aftermath of Hurricane Katrina,food drives, delivered holiday stockings for the Salvation Army, given stuffed dalmatians to the fire department, held talent shows to benefit earthquake victims and local teens injured playing sports, and shown other acts of kindness over the years. Our Middle and Upper School students do a number of good deeds each year. 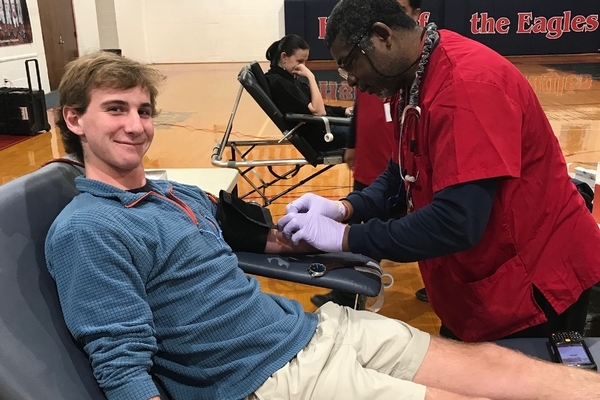 Some, like Relay for Life, fun runs to support Duke Children's Hospital, and sponsoring blood drives, end up involving the entire RMA community. They also enjoy thinking of others less fortunate during the holiday season. Every student in Rocky Mount Academy's Upper School must complete at least 50 hours of community service during grades 9-12 in order to graduate. 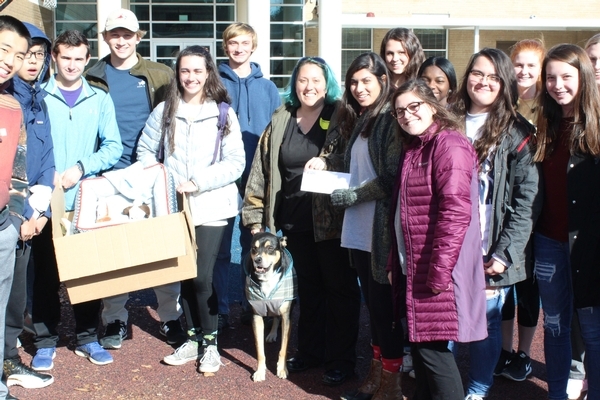 These students select projects that take non-school time, provide no monetary gain, and serve a non-profit or service agency in the local community. In the process, many of them discover lifelong interests and the indescribably great feeling that comes from serving others.